Disney Moana Girls Adventure Outfit Just $19.99! Down From $34! You are here: Home / Great Deals / Amazon Deals / Disney Moana Girls Adventure Outfit Just $19.99! Down From $34! This #1 Best Seller Disney Moana Girls Adventure Outfit is now on sale at Amazon for just $19.99 down from $33.99 PLUS FREE shipping with Amazon Prime or for orders over $25! Moana is an adventurous, tenacious and compassionate 16-year-old who is struggling to find her true self. But when her island is threatened by a mythical darkness, Moana breaks the rules and sets sail on an epic adventure to save her people and find the answers she’s been searching for her whole life. Relive the adventure of Moana! This iconic 2-piece outfit features unique prints and the skirt to match. 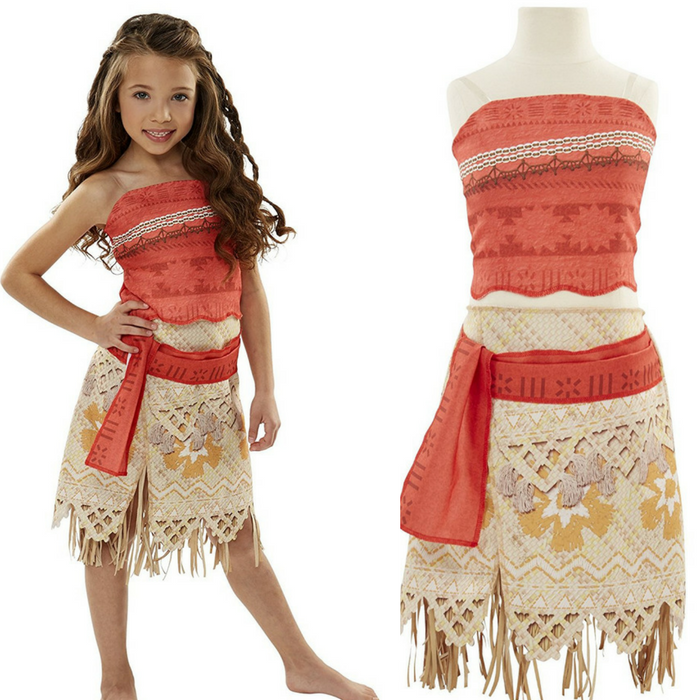 The skirt also has two layers that include fringe details for an authentic Moana Adventure look!